Couples are often uncertain what to expect from the process of couples therapy. They are not sure of what to expect of the therapist or even if the therapist has any expectations of them. 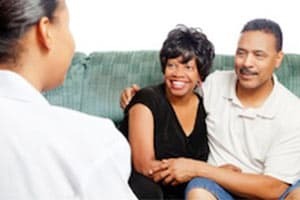 I have found most couples approach therapy with the notion that each person will describe their distress and somehow the therapist will assist them to create a happier, more functional, relationship. They expect to learn some new or better skills. However, most people hope their partner will do most of the learning in problem areas. After 30 years of clinical experience and specializing in working with thousands of couples, I have arrived at some guidelines that can make our work more effective. First, I do have some expectations of you. I am not neutral. I have evolved principles and concepts that I believe give us the greatest chance for success. I believe my primary role is to help you improve your responses to each other without violating your core values or deeply held principles. So that you may know some of my key guiding principles, I have created this document to provide clarity and focus to our work. The other comfort that will be challenged is energy comfort. It simply takes effort to sustain improvement over time: staying conscious of making a difference over time, remembering to be more respectful, more giving, more appreciative etc. It takes effort to remember and act. The other effort is even more difficult for some people: that is improving their reaction to problems. For example, if one person is hypersensitive to criticism, and his/her partner is hypersensitive to feeling ignored, it will take effort to improve their sensitivity instead of hoping the partner will stop ignoring or criticizing. A common yet unproductive pattern in couple's therapy is making the focus be whatever problem happens to be on someone's mind at the moment. This is a reactive (and mostly ineffective) approach to working things through. The second unproductive pattern is showing up and saying, “I don't know what to talk about, do you?” While this blank slate approach may open some interesting doors, it is a hit or miss process. The third common unproductive pattern is discussing whatever fight you are now in or whatever fight you had since the last meeting. Discussing these fights/arguments without a larger context of what you wish to learn from the experience is often an exercise in spinning your wheels. Reflect on your objectives for being in therapy. Think about your next step that supports or relates to your larger objectives for the kind of relationship you wish to create, or the partner you aspire to become. When it comes to improving your relationship, your attitude toward change is more important than what action to take. Identifying what to do and how to do it is often easy to identify. The bigger challenge is why you don't do it. Asking good questions–of yourself and your partner–helps you uncover causes beneath causes. How you are communicating – whining, blaming, vague, etc. These are the normal emotional reactions to feeling a threat or high stress. Improving your relationship means better management of these reactions. 3. Be a better person. Predict probable future problems and take action. Effective change requires insight plus action. Insight without action is passivity. Action without insight is impulsive. Insight plus action leads to clarity and power. partner to lose in the past. Sugar Ray Robinson -Middleweight boxing champion, considered by many to be the best fighter in history, pound-for-pound. P.S. please review this document periodically as there is simply too much to absorb in one reading of it. We all will benefit from your efforts. If you’d like help with your relationship, click here to read more about our counseling services and contact us for a free phone consultation. benefit out of it,,tks so much. Donna – interesting question – as you might surmise personality disorders require multiple approaches and a lot of trial and error with a lot of persistence. For them to improve progress cannot be reduced to xyz as being responsible for their improvement. There is no research available that says do ABC for personality disorders to get predictable results. Working them is more art than science. As the car manufacturers finally put truth in their advertising -“Actual mileage may vary” So it is with highly distressed couples – whatever we do, actual mileage may vary. I am a MFT student about to begin practicum. I am impressed by the perspective and tools The Couples Institute promotes. I can see how they would be far more effective than the standard approach to couples therapy. I do have a question. What kind of results do you see using these skills and tools when one or both partners present with personality disorders? Nice Blog! Thanks for sharing this one great post by blogger well,we have see its all thing will be very intresting post! I appreciate to blogger well, good Job, Thanks again..
What a necessary article. THANK YOU! THANK YOU! THANK YOU! I needed this. Be blessed. This post should be mandatory reading for new counsellors and psychologists who do any form of relationship guidance. It isn’t enough to only address the problems, but laying a sound foundation for future expansion and approaches for dealing with issues in the foreseeable future. Thank you very much. I really like how you point out that the three most important qualities for effective communication are respect, openness, and persistence. My husband and I have had a really hard time communicating to each other recently and I think it’s because we are both closing ourselves off from one another. I think we could really benefit from a marriage therapist to have an objective point of view from a professional who can help us build back our relationship. Thanks for sharing great article! All those couples who are struggling to retain their married relationship must go for couples therapy. You would have totally different feelings once you go through such a therapy as you will learn the various things that will let you enjoy your relationship. Nice Blog! I have bookmarked your blog to refer back to it each time I write my blog. This is the first time I have ever commented on someone’s blog. It has taken me out of my comfort zone. Growth! This article should be mandatory reading for new counsellors and psychologists who do any form of relationship counselling. It isn’t enough to only address the problems, but laying a solid foundation for future growth and strategies for dealing with issues in the future. Thank you very much. I have really wanted to start couple therapy. My boyfriend and I get along every well but I think we could still benefit from counseling! It would be nice to talk about any problems we may have and also talk about the life we want to build together! Thanks for the article I like how you said to make sure that you can visualize the life you want to build together as well as apart. I think it is important to have some space in a relationship and build yourself up as well as building up the relationship. I have a brother who is going through a lot of hard times right now in his marriage. I think he would really benefit from couples therapy. This was a great article! As a recent student of the Couples Institute Couples Training, I have found that the lessons and guidance have been extremely helpful. 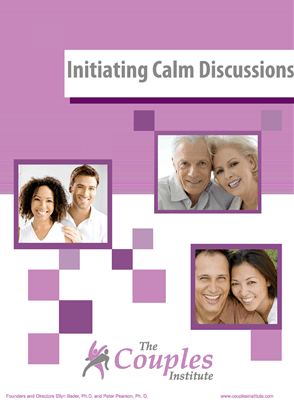 I am going to post a section about what to expect in couples counseling on my website. It helps for couples to know what to expect and for me to get very clear and focused about our work together. Thank you for your response. I’m honored. We’re working with a very well trained MC. In fact I mentioned this article in MC on Monday and she said she’s trained under you for over 5 years. It’s not her- it’s me! This article really gives me a lot to think about. Are you working with a well-trained MC? Have you defined clear goals for yourself-defining the kind of partner you want to be, and what is getting in your way? It is important to be sure that you, your partner and the therapist are all on the same page about the goals and where you are heading. Thanks for sharing. Marriage counseling won’t work without the cooperation of the couple, asking for a proper help could still change the marriage from falling apart. Great article which sets the frame very well for couples entering therapy. Most couples are focused on their partners failings which seems to lead to gridlock in most discussions. By looking at one’s own contributions partners are realigned to a productive way of moving forward. Thank you. I totally agree with you about communication being the #1 problem in couples therapy. Honestly, I couldn’t agree more. Literally every single couple that walks into my office has a communication issue. It’s almost always the first thing I address with the couple. I’m glad other therapists realize this :). Excellent article! I especially like your emphasis on motivation, rather than identification of problems and fixes. It is natural to grow and change over time. If you and your partner are not committed (and therefore motivated) to adapt to each other as you each change, problems will ensue. Or rather, problems will ensue anyway, and it is one’s motivation and committment to keeping the relationship vital and offering one’s partner a certain respect that makes it possible for problems to be worked out. So often one or both partners avoids addressing (or is oblivous to) the changes that naturally occur, leading the problems to fester and get bigger than they needed to be. If partners retain motivation to work on the relationship there is hope for even very troubled relationships. If the motivation isn’t there, even small problems can become fatal. Thanks for generously sharing this profound advice. I have put it on my website and will be encouraging couples to read it in preparation for our work together. I love this article and how well you articulate what to expect in therapy. As a new therapist working with couples this article really sets the stage for me to start the therapy session right. I wish more therapist that provide marriage therapy had a specific agenda other than processing the “fight of the week”. Thank you for your great work. I look forward to learning from you again and again in the future. Thank you for sharing this relevant article! As a therapist, I very much appreciate how we health professionals give attention to certain issues including the ones that deals with couples. May we all continue to provide utmost care to our clients. I find your ideas interesting; please continue sharing your work!